It’s been an amazing two weeks, filled with discovery and exploration of art and cities and history and culture. I’m really grateful for the opportunity to take the time and just delve into new places and ideas. Hope to do it again soon, maybe next year in Spain or Greece or maybe even Kilimanjaro. I hope you enjoy the pictures, most of what I’ll ever upload is up, but check back once in a while, things might change ;). Let me know where you think Bats and I should go next, we’ll take it under advisement! I’m still trying to figure out Woody Allens take on Rome. I’ve seen that movie like four times and it still bothers me. I’ve been here for about thirty-six hours and The bats and I are loving it. 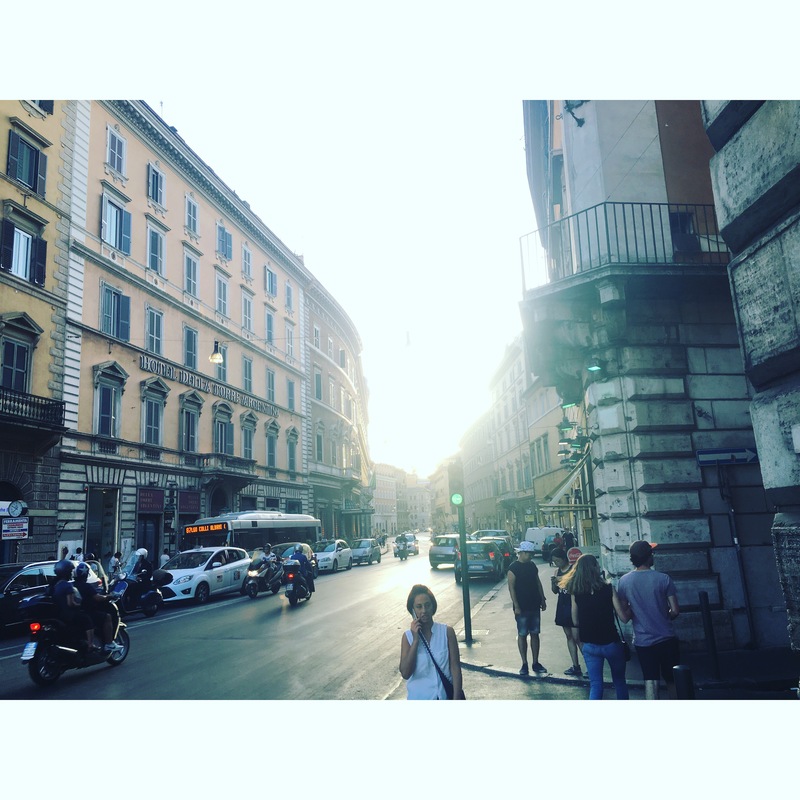 We’ve seen the Vatican and the Pantheon, the Spanish Steps and Trevi Fountain, like twelve different piazzas-we’re even staying on Campo Del Fiori! Anyways, new pics are on the Italy page, enjoy! Just an update, pictures are now located on the page that bares the same name as the location. I know there aren’t descriptors for everything, but I don’t have the time running from thing to thing. Somehow my new travel buddy, Shaun and I managed to make it to 5 museums today! 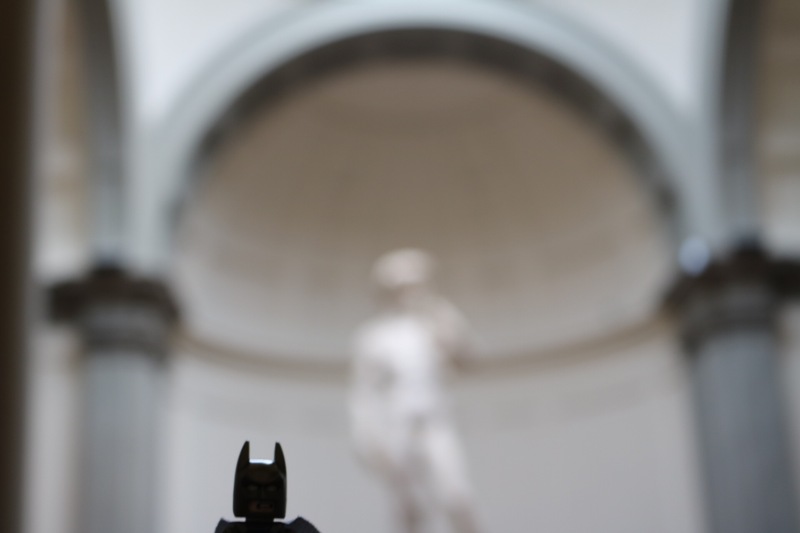 Coupled with some walks around Firenze it makes for some great shots, some with batman, some without. Enjoy and leave a comment, let me know what you think! I grew up on Batman the Animated Series. Then I got into the movies, the comics, the game s. Then I wrote papers about him in college. For the past two decades every birthday I’ve received at least one bat-related gift. I’ve been lucky to have him in my life, so when thinking about how I wanted to photograph my journeys around the world, this concept came to me. So here I am, a 6 foot something Millenial-Geek who carries around a little Lego Batman everywhere he goes. through Scotland, Israel, Italy, France, and everywhere else I can get to in this short bit of time we have on this planet. Judge me/don’t judge me, my travel buddy is cooler than yours. Take a look, leave a comment, send me your photos!